'Hamdard ka Roohafza' is a popular sherbet that is perfect for sweltering summers. 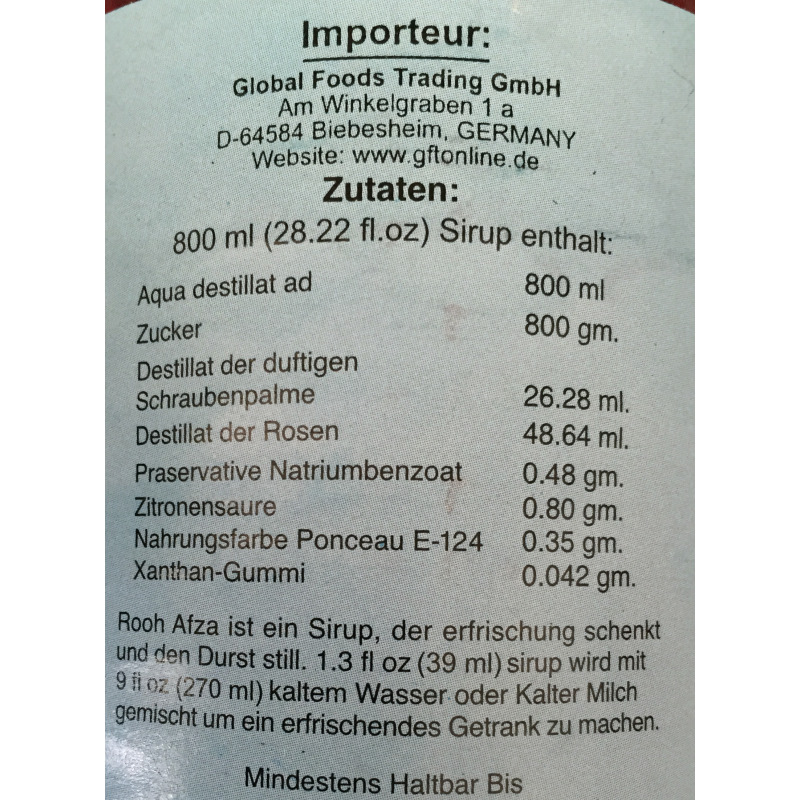 It has been prepared from natural extracts of citrus flowers, fruits, vegetables and herbal ingredients. Roohafza has a pleasant cooling effect on the body, instantly quenching your thirst energizing you. 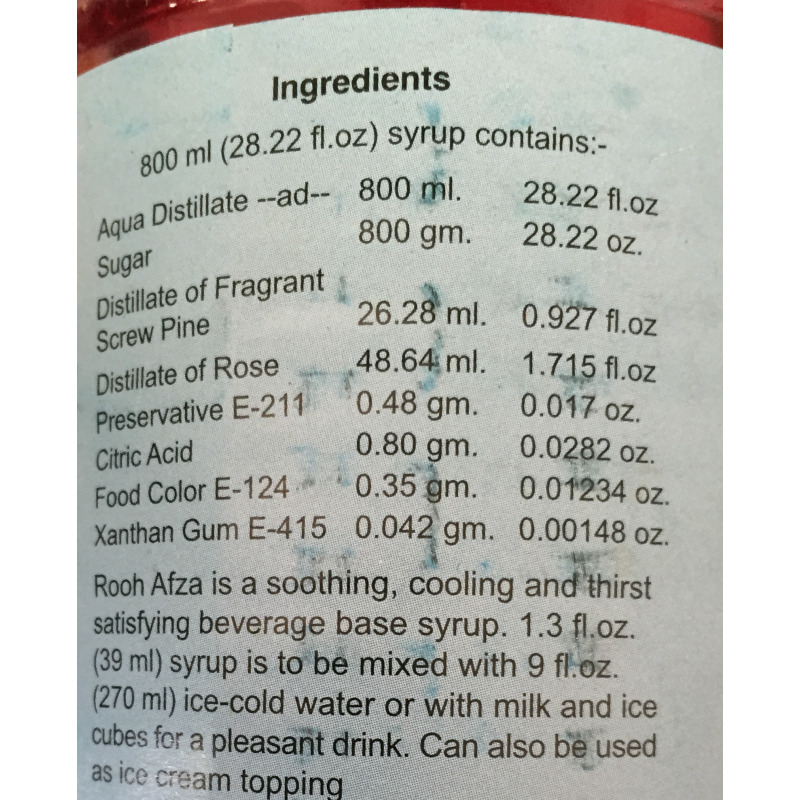 A refreshing Roohafza drink can be prepared in a minute by mixing the syrup with water or milk. It can also be used to flavour and make ice creams. 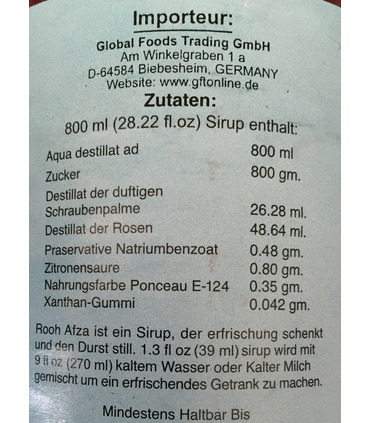 This Roohafza is from Pakistan. Read more here . 'Hamdard ka Roohafza' is a popular sherbet that is perfect for sweltering summers. 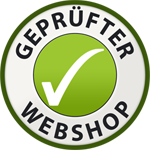 It has been prepared from natural extracts of citrus flowers, fruits, vegetables and herbal ingredients. 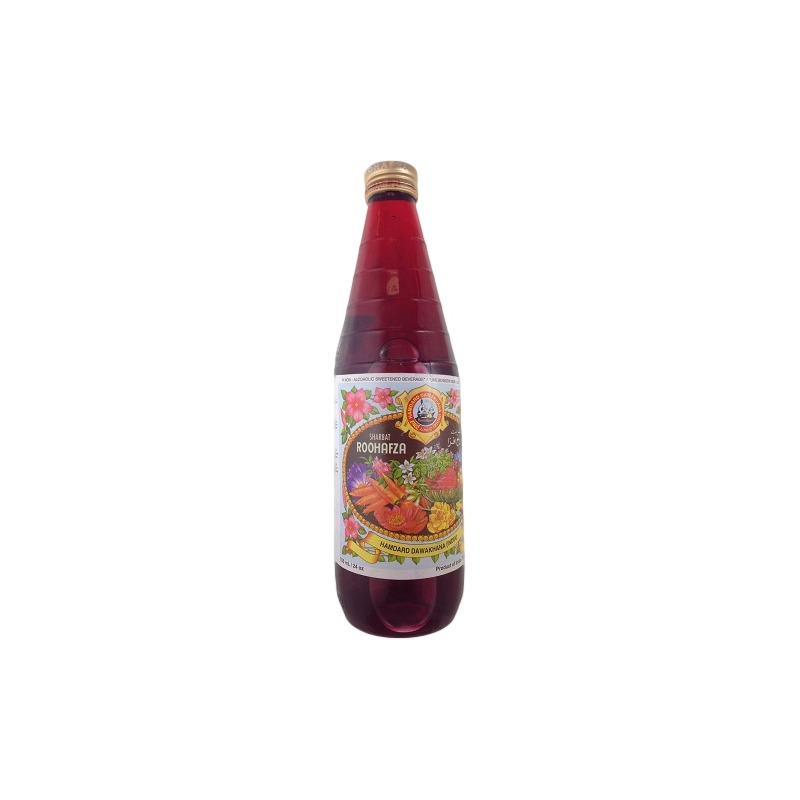 Roohafza has a pleasant cooling effect on the body, instantly quenching your thirst energizing you. 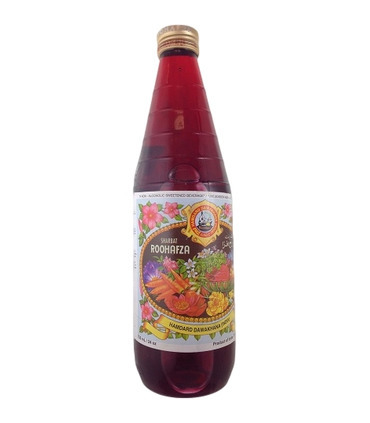 A refreshing Roohafza drink can be prepared in a minute by mixing the syrup with water or milk. It can also be used to flavour and make ice creams. 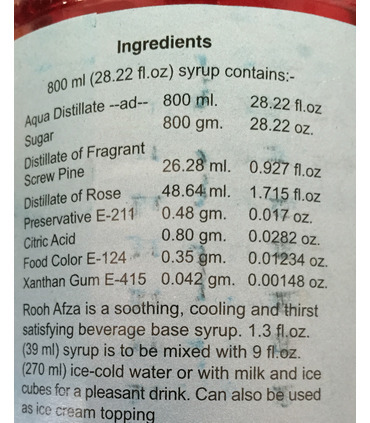 This Roohafza is from Pakistan.